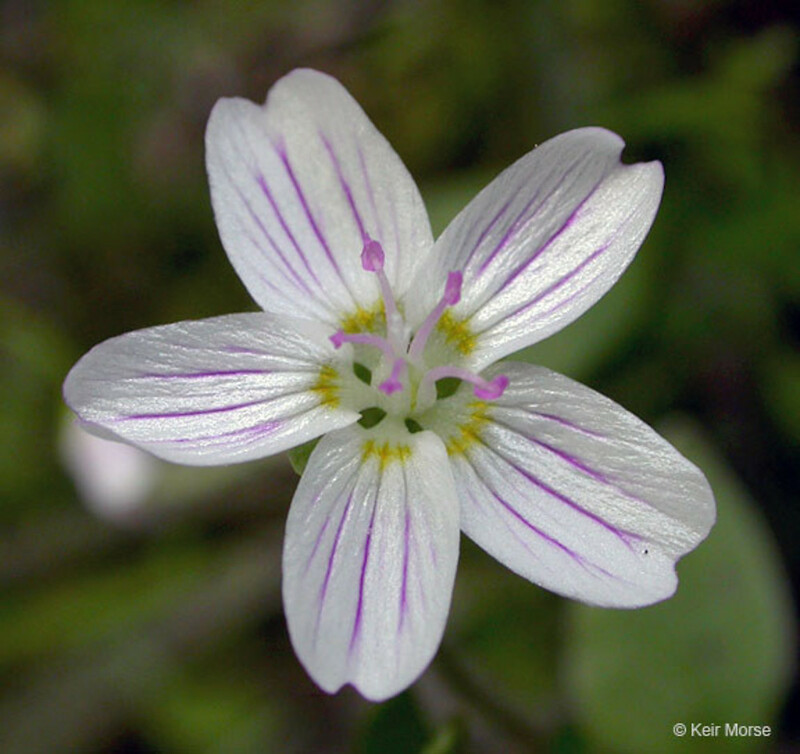 Siberian spring-beauty is native to Siberia, Asia, and western North America; in New England, it has been collected only in Massachusetts. In its native range, this diminutive plant is a denizen of shady, damp woods and alder thickets. 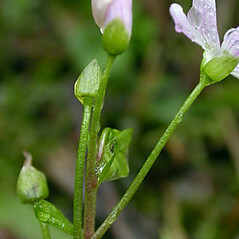 Also known as "candy-flower," it produces tiny pink flowers. 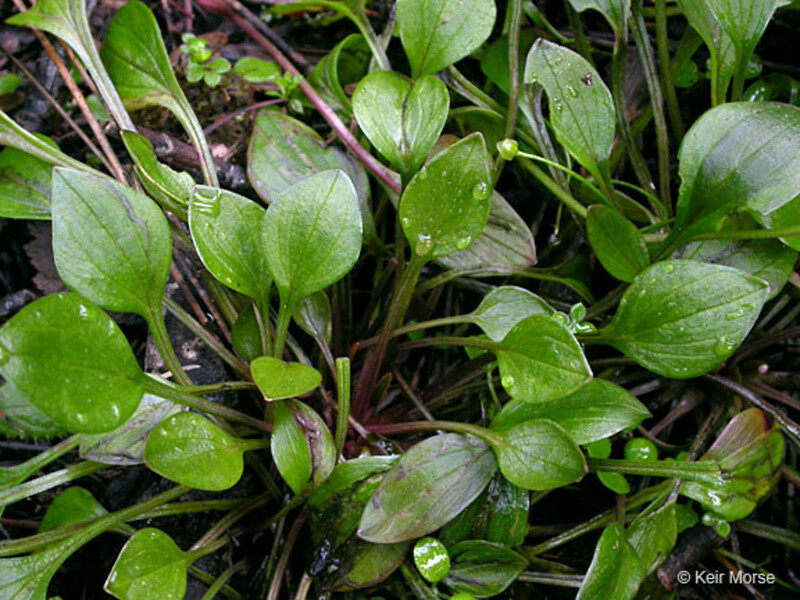 Its leaves are regarded as edible, but rather bland additions to the salad. 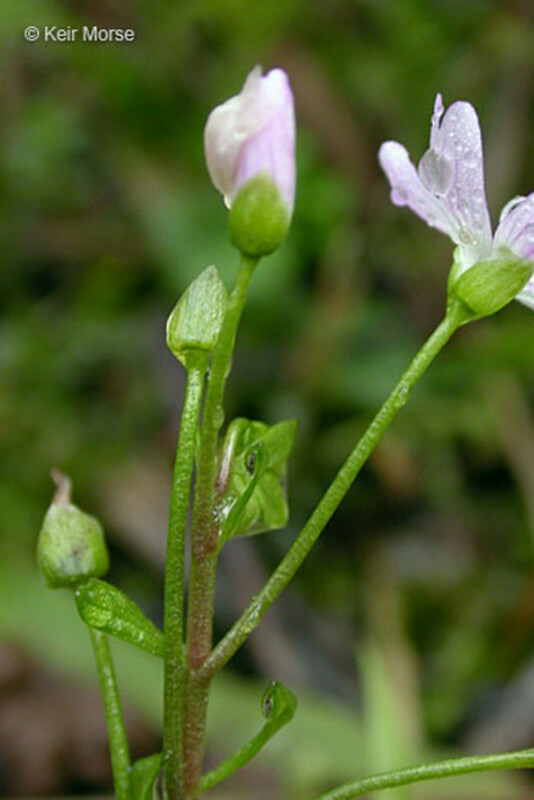 plants perennial from globose tubers 10–50 mm in diameter, and inflorescence usually unibracteate (vs. C. siberica, the plants annual or biennial from a minute, tuber-like structure 1–5 mm in diameter or perennial from rhizomes, and inflorescence multibracteate). 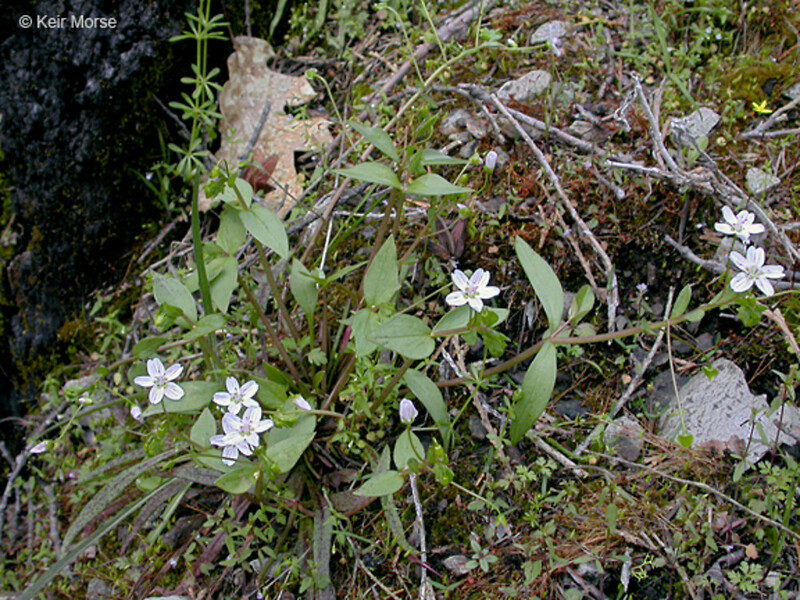 Montia sibirica (L.) T.J. Howell var. 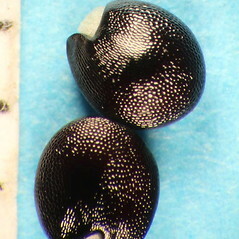 bulbifera (Gray) B.L. Robins. Siberian spring-beauty. 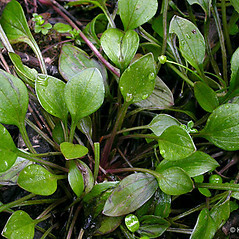 Claytonia sibirica L. var. 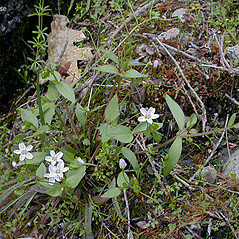 bulbifera Gray; Montia sibirica (L.) T.J. Howell; M. sibirica (L.) T.J. Howell var. 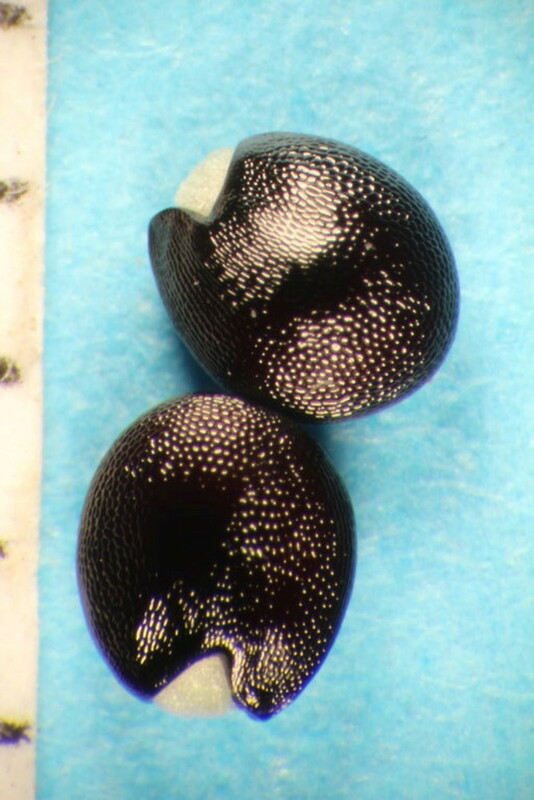 bulbifera (Gray) B.L. Robins. • MA. Waste areas, near buildings.